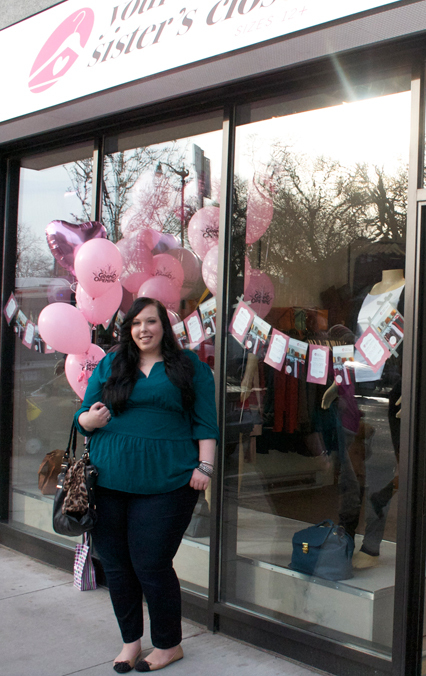 As promised, here are some photos of the grand opening for Your Big Sister's Closet in the Junction. I'm not positive, but I'm pretty sure that yesterday was probably the most beautiful January day in the history of all January days. For those that don't live here in Toronto, it was totally flats weather and the perfect day for Karen to host her grand opening! 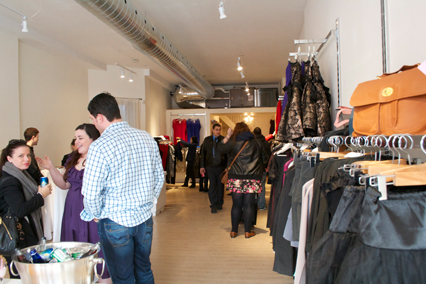 We arrived a little late, but there were still many party-goers and shoppers making their rounds. 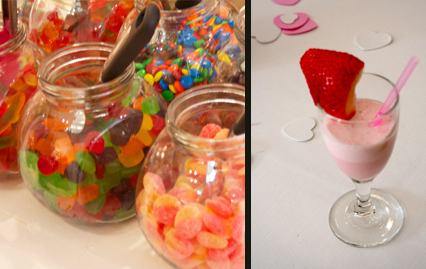 We were greeted with mini strawberry milkshakes, a macaron tree, a candy bar and many other light refreshments. 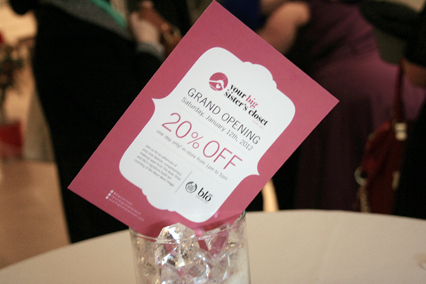 Blo Bloor Street West Village was on site with Blo's signature braid bar (Alexis was such a sweetheart, and totally worked her magic with the flatiron). The Body Shop was also there with complimentary makeup apps. 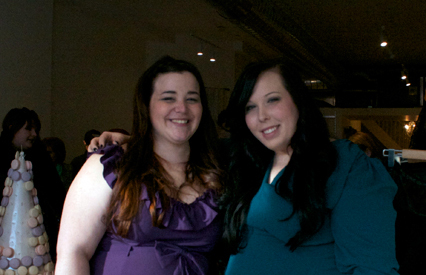 The party was a good time all around, and I am beyond ecstatic for Karen and Peter. 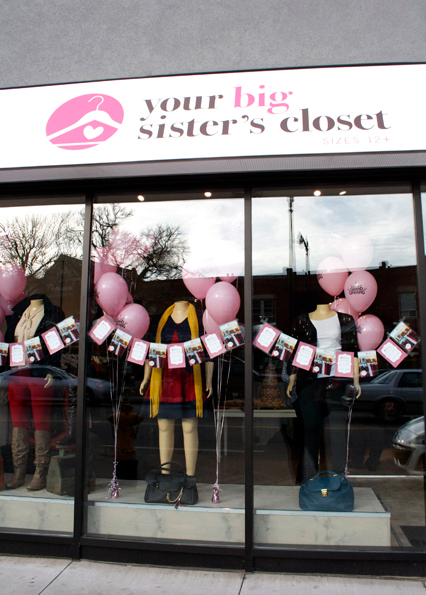 Your Big Sister's Closet is an absolutely adorable boutique and has a selection that will definitely leave plus-size fashionistas beyond satisfied. If you're in the Junction, be sure to pop by and take a look for yourself. WIW: I decided to wear a shirt that I got awhile ago from eShakti. I haven't quite decided if I can rock peplum tops, but I definitely dig the colour. The jeans are BY FAR my favourite jeans in the universe! They are a tad short on me, and have a habit of loosening a teeny bit by the end of the day (as do most jeans) but they are mind-blowingly comfy. 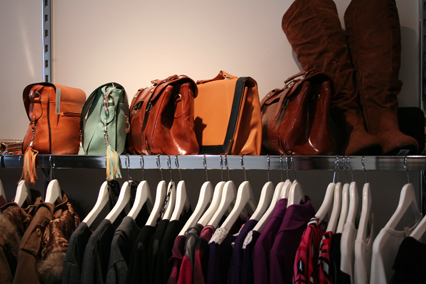 If you like your jeans fitted make sure to purchase these at least one size smaller than what you typically wear. *Disclaimer: I want to be completely up front. Karen is a friend of mine, and I conveniently double up as her graphic designer (I designed the graphics/identity for Your Big Sister's Closet). My opinions are my own but if you have any questions, please don't hesitate to ask. I wish we had a store like this in SoCal. It looks adorable. You do, too, in your outfit.